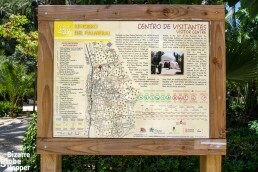 Have you ever heard of the Europe’s biggest palm grove? Probably not. 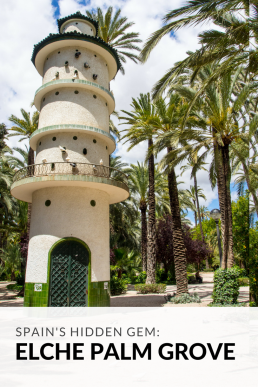 Still the historic palm grove in Elche rates as a Unesco World Heritage Site and walking below hundreds of years old trees feels invigorating amidst all the traditional sightseeing. 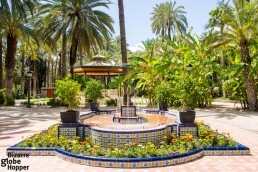 Carthaginians planted the Elche’s first palm trees more than 2000 years ago. 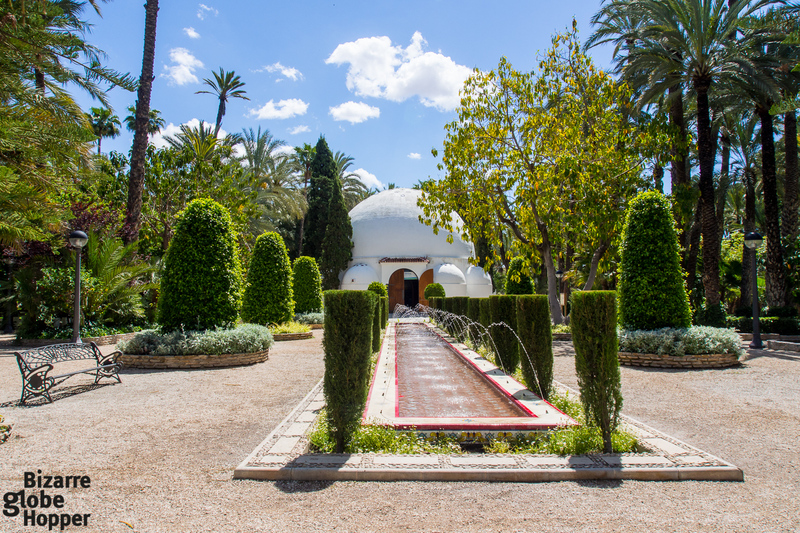 Arabs extended the groves and added an ingenious irrigation system that turned Elche into a prominent agricultural player in Spain. 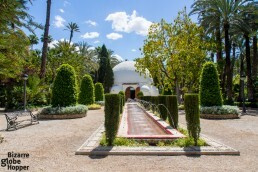 Historically, the groves produced dates, and the shady terraces were used for cultivating more valuable fruits and vegetables, such as pomegranates.  Even now, Elche produces 85% of Spain’s pomegranates. Popping inside the Parc Municipal inside the city center is probably enough for an average tourist. Along with the well-manicured palm trees, the city park has delicate implantations, loads of benches in the shade and playing areas for kids. Inside the park also lurks a restaurant, Datil d’Oro, where I love to sip an excellent café solo. The groves expand outside the center, with altogether more than 200 000 palm trees. 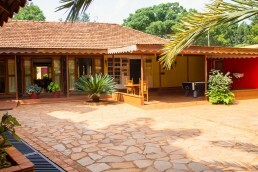 Even the urban areas have 70 000 date palms, making the center pleasantly lush and green. 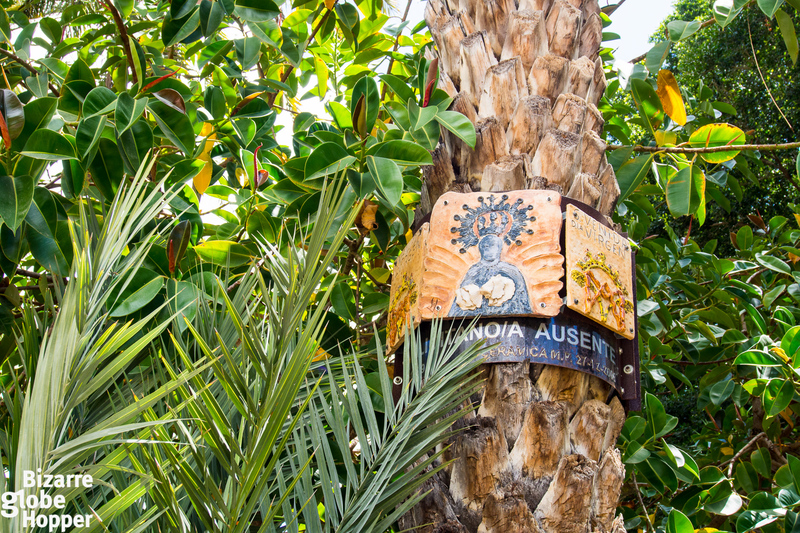 If you’re really into palm trees, you might lose yourself in the Museo del Palmeral or love he map that tells stories about the most famous trees (yes, they have names, as well). 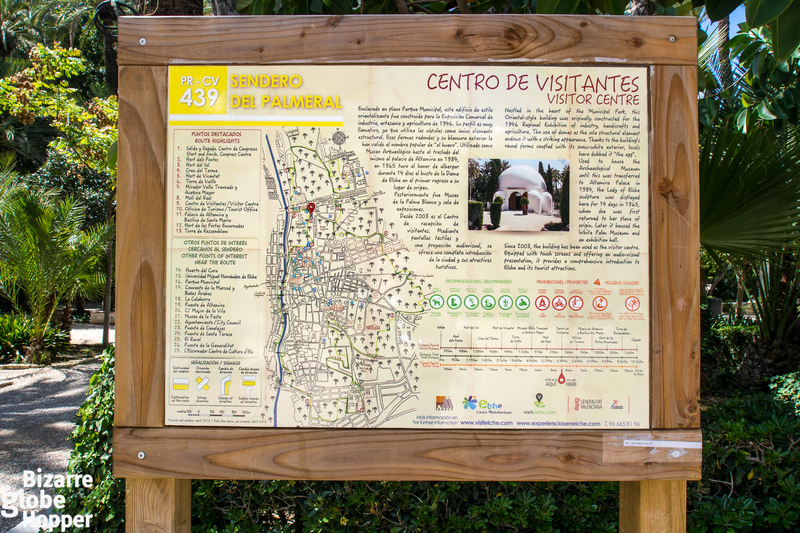 But even the rest of us will enjoy the walking routes, called ”Sendero del Palmeral”, that cover the groves and other sights on the way. The longest one twines around the city center for more than 10 kilometers, but a pleasant 2-kilometer walk shows you quite enough. 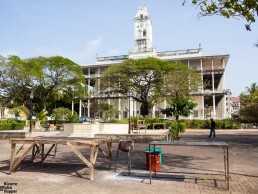 If you don’t fancy exercising in the heat, there’s also a tourist train that wriggles through the palm grove and the main sights of the city. 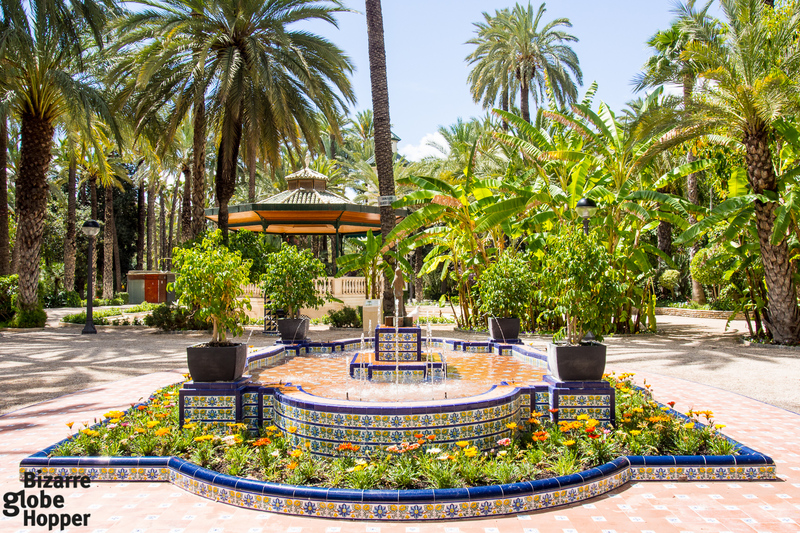 Would you enjoy walking in the shade of the Elche’s palm grove?